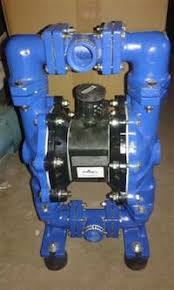 AIR OPERATED DOUBLE DIAPHRAGM PUMP MANUFACTURERS IN SILVASSA. K-TECH FLUID CONTROLS are manufacturers and suppliers of excellent quality AODD pump with affordable rate. K-TECH Air operated double diaphragm pumps have excellent suction lift characteristics and are capable of handling sludge's or slurries with a relatively high amount of solid and grit content. K-TECH MOC include bodies in aluminum, polypropylene, Kynar, PTFE, cast iron, acetal, stainless steel, elastomers. We are supplier, exporter and manufacturers of AIR OPERATED DOUBLE DIAPHRAGM PUMP, Industrial Valve and Industrial Pump, in all over India and overseas.